One thing you cannot account for on your wedding day is how nervous you may be. Seeing your loved one for a first look can often help with your nerves and calm you down before you declare your love together in front of friends and family. I always assure my nervous brides with this. When you see him, you’ll feel so much better (and it’s always true)! The first look also allows for a more intimate time together before you both are constantly surrounded by friends and family for the rest of the night. I have couples tell me all the time that they want this moment to only be the two of them, excluding friends and family as well. No problem! This moment should be intimate for the bride and groom. I simply put on my longer lens and step back to let them truly have time the two of them, while also getting pictures of the moment to cherish forever. 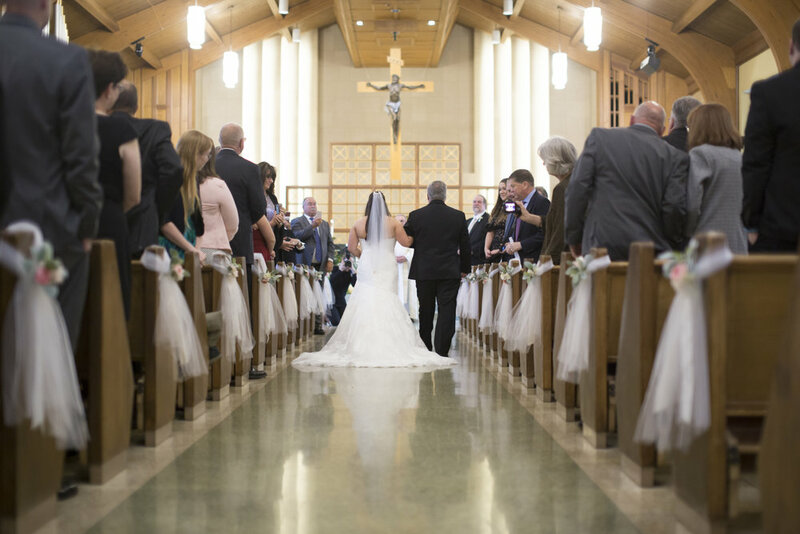 Now if you’re superstitious, doing a first look is considered “bad luck.” You’ve probably heard many stories behind a bride and groom seeing each other before the ceremony, but you may want to remind yourself that these may not be true for everyone. The common tale of bad luck due to a groom seeing a bride in her dress before the wedding trails back to the time arranged marriages were custom. At the time, arranged marriages were like business deals, and neither the bride nor groom was allowed to see each other beforehand in case the groom saw her and changed his mind, bringing shame to her family (ouch!). Another thing to consider is that you may miss the climactic moment of the doors opening and your guy being shocked when he sees you for the first time down the aisle. Honestly, this is a sweet moment to capture between the two of you when you don’t do the first look. It makes the build-up of the doors opening more suspenseful and exciting for the two of you knowing this what you’ve waited for all day (and maybe for your whole life). 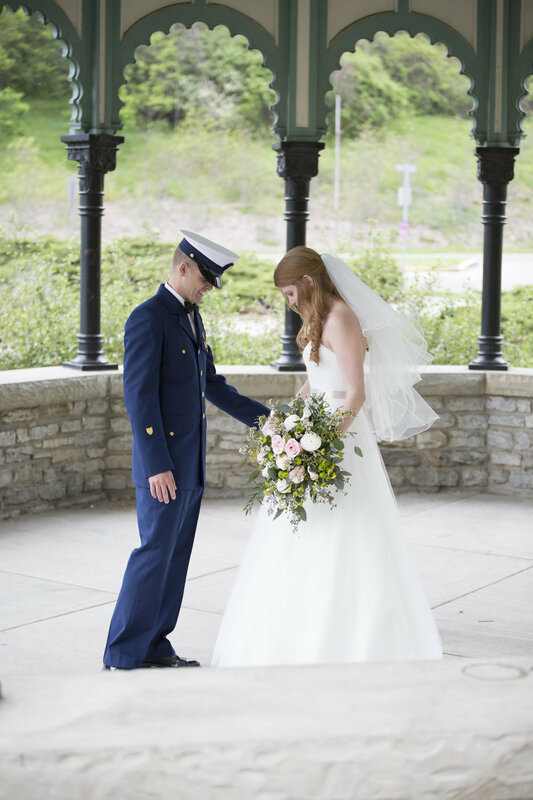 If you decide to wait until the ceremony, it can make a beautiful moment both in person and in pictures. I’ve captured some emotionally beautiful photos of the groom seeing his bride walk down the aisle when he first sees her. There is nothing wrong either sticking to or breaking traditions like the first look! Speaking of traditions, our upcoming blogs will feature some alternatives to the first look and other wedding traditions. Be sure to subscribe to not miss a thing! !